Happy Monday–Family Gatherings & Vegan Recipes. Family ‘vegan’ dinners at my house are always a source of happiness with some good planning and expectation setting with those members who are not vegans or vegetarians. I let them know the menu ahead of time and let them bring or fix what they want. Then I strive to WOW them with great vegan entries! Yesterday I prepared Aztec Corn Soup and Corn Bread receiving rave reviews. These are not my creations, but I have altered just a bit. I like to promote recipes I know actually taste good as a number of them really don’t when you actually make them. Or they are way too difficult to reproduce. 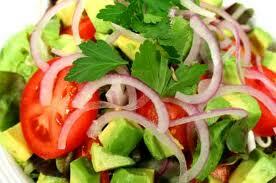 “Easy” is one word to keep in mind with cooking, in my opinion, as I am more likely to then–well–Cook! 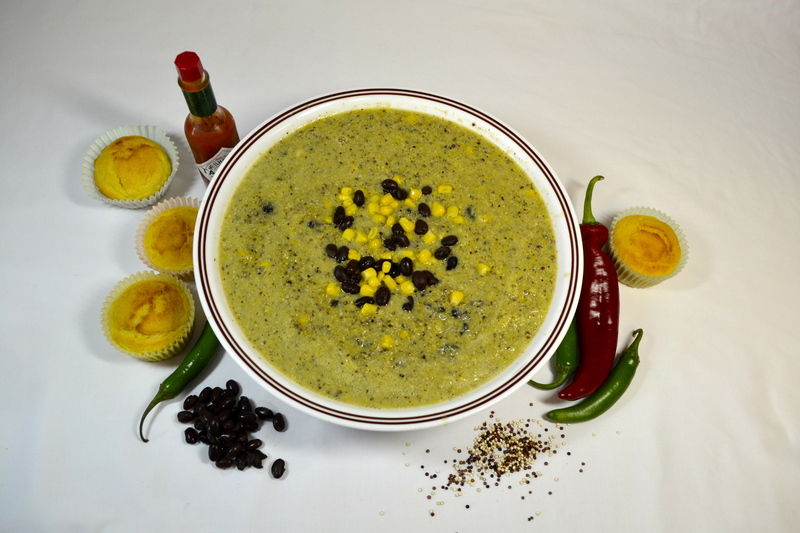 “Aztec Corn Soup” comes from Lindsay S. Nixon’s The Happy Herbivore. Lindsay’s makes for 2 servings below (I double or more for my uses). The dish also provides 14 g protein per serving. “1/4 c uncooked Quinoa, 2 cups frozen corn, 1 4-oz can green chilies, 1 cup non-dairy milk, 1 c canned black beans rinsed and drained, white pepper to taste, 1-2 tsp pure maple syrup, hot sauce to taste. Transfer to a blender and combine with 1 1/2 cups of the corn, green chilies, and non dairy milk. Blend until smooth or to a desired consistency. Return to saucepan and stir in reserved corn and black beans. Heat thoroughly, adding white pepper and maple syrup. My daughter-in-law says, “…the delicious treat you made me–awesome comfort food!” My daughter groaned and smiled a lot–and kept eating! I also serve Corn Bread and, honestly–got the “Easy Corn Bread” recipe right off the Quaker Yellow Corn Meal box. It’s slightly sweet, so not over done on sweetness. And, the soup is somewhat sweetish, so I didn’t want to overdo on the sweet side. However, you can bump up if you like. 1 1/4 cups all-purpose flour, 3/4 cup corn meal, 1/4 cup sugar, 2 tsp baking powder, 1/2 tsp salt, 1 cup milk (I used Almond milk), 1/4 cup vege oil (I have yet to try without using oil), 2 egg whites or 1 egg beaten ( I used egg replacer). Grease muffin pan or use paper wrappers. Stir in Almond milk, oil and egg replacer, mixing just until all moistened. Pour batter into muffin cups. Rave reviews and all eaten with gusto! My son eagerly finished off the muffins against all our protests! Served the soup and the bread with a fresh green salad. If you make these tasty items, hope you enjoy as much as we did.